"Who gave the leopard spots and taught the birds to sing?" - Tim Booth. 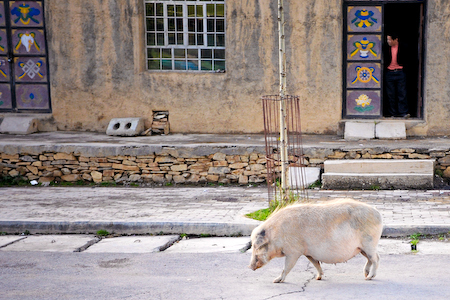 Tags:Pig strolling down the street of a small Yushu monastery town in Qinghai Kham.